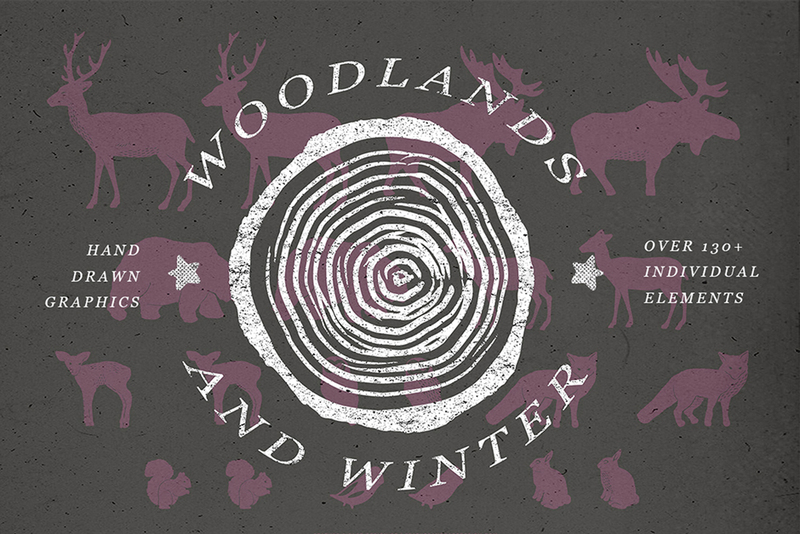 Winter Woodlands Illustrations	By: Feather & Sage Design Co.
Winter Woodlands Illustrations. A very organic, versatile collection of hand drawn illustrated graphics inspired by woodland animals, the outdoors, and winter. This set includes more than 130 individual elements including hand drawn graphics, seamless patterns, non-seamless pattern texture overlays, grungy textures, and Photoshop brushes. See below for all the details. This set includes more than 130 individual elements. File size is approx 405.3MB (624.7MB unzipped), offered as a single download.